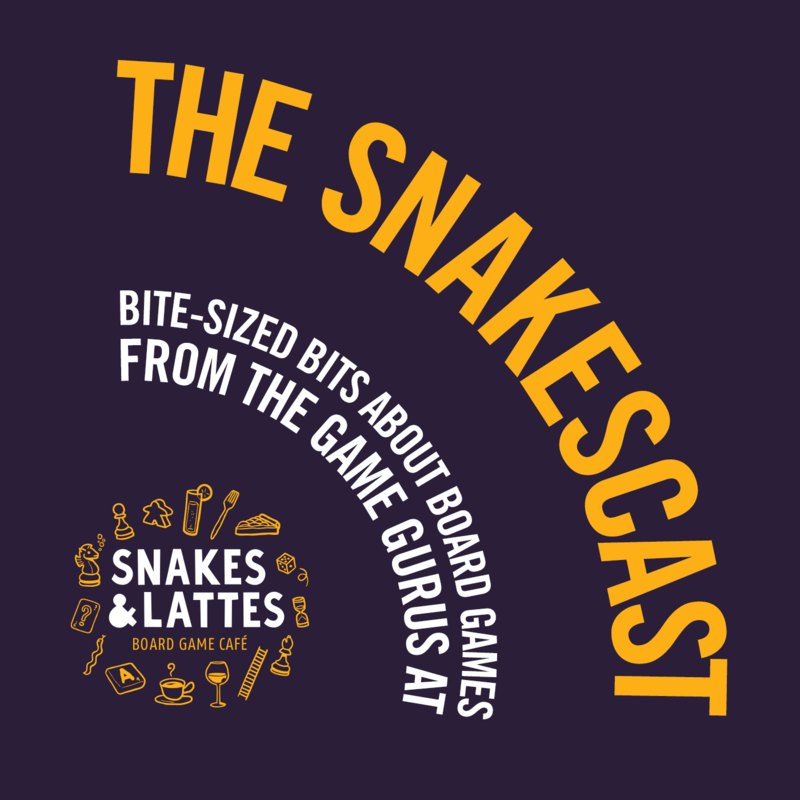 This week's episode is the final weekly SnakesCast. Jonathan reminisces about favourite episodes from four years of recording, and gives a preview of the new show, which will be premiering in 2017. Game aficionados will do almost anything to convince players to try something other than the old stand-bys like Monopoly. But it can be really hard to convince players to move outside their comfort zones to try something new and unfamiliar. You need something that offers the same appeal as what the players are used to, but has to be simpler and easier to grasp. Enter Stefan Dorra's For Sale. It's an irresistibly clever little game and one of the best Monopoly alternatives you can play. Or as I like to call it, "creatively interpreting the facts"
Our society maintains some fairly strong taboos against lying and deceiving, but when you're playing a game, there's a different set of rules. This week we're talking about games that involve misrepresenting yourself to your friends in all manner of different ways. When is it okay to lie to people you care about, and when is it crossing over the line? Keeping a large publicly accessible game collection in shape for play is no small task, and no-one knows it better than the curator at Snakes&Lattes: Steve Tassie. This week, Steve tells us all about his role in building and maintaining that collection, offering a look inside one of the most important aspects of the board game café business. Castles, Zombies and Klingons, Ohhhhh Myyyyy! Introductory-level co-op games are always a good thing to have at a board game café, and few are more friendly and accessible than Castle Panic. The gurus sometimes refer to it as "baby's first co-op game", but there's more to it than a pretty face and an easy introduction. It also spawned a series of games, including the recently released Star Trek Panic, which brings this unique tabletop tower defense game to the final frontier in the company of Shatner, Nimoy, Nichols and Takei. Most people can probably name the authors of their favourite books, the musicians in their favourite bands, and the actors and directors of their favourite movies and TV shows. But very few people can name the designers of their favourite games, and that's a shame. Every game designer brings a unique vision and style to the games they create, and this week we're going to talk about some of the more famous designers out there and what makes their games special. Hallowe'en was yesterday, but November is no less appropriate for horror-themed games, and this week we're shining the game spotlight on one of Jonathan's favourites: A Touch Of Evil. Set in the isolated little town of Shadowbrook (which is totally not Sleepy Hollow with the serial numbers filed off) just after the war of independence, it brings a uniquely accessible style of colonial gothic horror to your tabletop. This week we finish out top 10 games for gurus. The games you can teach to players who only know Monopoly, and aren't quite sure they remember the rules to that. It may seem strange to some of us who are used to today's games that anyone out there could be so deprived, but experience teaches the teachers, and when you work at a board game café, it doesn't take long to realize just how hard it can be for newbies. These are the games that make it easy for everyone to start having fun right away. Just a quick announcement; this week's podcast will be released on Friday instead of Tuesday. Why aren't there any board games about love and relationships? The short answer is that relationships are difficult and complicated, while most people want games to be simple. The longer answer is that relationships are delicate, nuanced things that don't easily lend themselves to the kind of concrete rules and systems that are necessary for a board game to work. But this week, we're talking about a game design that dared to try this daunting challenge, and the surprising ways it succeeds. Back in Season 3, we talked about how much we loved Dead of Winter, a game about a zombie apocalypse in the freezing cold. This year, Dead of Winter receives a huge expansion set called The Long Night, which adds a lot more to an already weighty game. Does it go too far with the complexity, or does is it still playable but with more tense stories to tell? Most board games can be played over and over as many times as you like, and they're different each time you play them. But some games are built to be played just a certain number of times. The recent popularity of "Legacy" games like Pandemic Legacy has some people worried about games becoming disposable. But is that something we should really fear? What can you recommend for a blank slate? One of the most challenging and enjoyable tasks for a game guru is recommending games to suit someone's taste. Everyone has different preferences, and based on what they tell, a skilled guru can find just the right game. But what's a guru to do when they can't tell you a single thing about what they like or don't like in a game? This week we tackle the question of how to recommend a game to someone who has no idea where to begin. Back in the late 1990s when modern board games were just getting to be a Thing, it wasn't uncommon at a game convention to hear a table full of people chanting "Ra! Ra! Ra!" What were they going on about, and how could a game as apparently unassuming as this be such a huge favourite among aficionados? This week the game spotlight shines on Reiner Knizia's Ra, celebrating its long-awaited reprint by Fantasy Flight Games. It happens fairly often at the café that I'll get a request for "a game I can win". Naturally, that's not just a matter of picking which game to play, but developing your own skills. So how do you do that? How do you get better at winning games? Even if you've played a lot of games, there's a good chance you don't know what hand management is. But even if you've only played a few, you've probably done plenty of it without realizing. This week on the SnakesCast we're taking a close look at one of the most subtle but powerful elements in game design, one that makes the cards in your hand matter across a wider context. Another year, another GenCon, and with it another bumper crop of massively hyped new tabletop games. In that deluge of new releases, how can one game stand out among all the rest? This week we're talking about the biggest games from GenCon 2016, and which ones we're most looking forward to having on the tables at Snakes & Lattes. Something happens when you play a game for stakes that go beyond the game itself. When you play for money, especially an amount of money that could make some kind of difference in your life, it changes the way you play. So is it still playing when winning is that important? This week on the SnakesCast we tackle the thorny topic of gambling. Some games feel gentle and relaxing. Others are stressful and tense. And some... some games just make people want to burn down the whole world. Some games put players in a position where in order to win, they need to earn another player's trust, and then betray that trust. This week on the SnakesCast we're talking about games that not only allow for cruelty, but encourage it. How can you design such a game, and what does it mean to enjoy it? Games mentioned: Lifeboats, Intrigue, Quo Vadis?, Diplomacy, Chaos In the Old World, Blood Rage, Risk, I'm the Boss!, Bohnanza, Munchkin, Bridge, Cards Against Humanity, Take It Easy!